Xtreme™ Synthetic Blend Engine Oils are designed to give excellent engine protection for passenger cars, SUV’s and light trucks manufactured or sold in North America. These oils use state-of-the-art additives blended with full synthetic and hydrocracked basestocks to meet the requirements of the API and many OEM’s for warranty coverage and engine protection under severe conditions. When used according to manufacturers recommendations, these oils have typical oil change intervals of 5000 or more miles. Extended drain intervals are determined by type of driving and may be 7,500 miles or more in certain conditions. Synthetic and hydrocracked base oils offer maximum resistance to high temperature oxidation and exceptional low temperature performance. 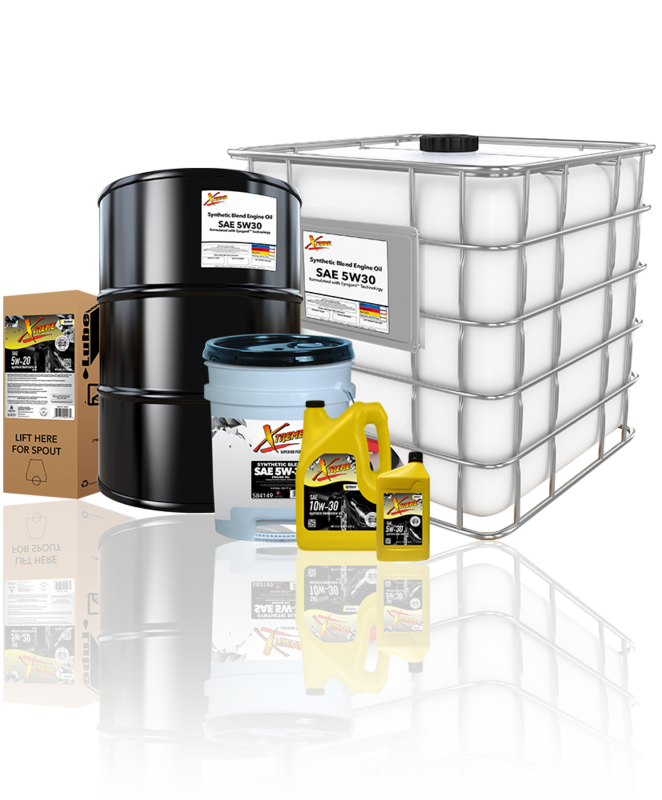 Xtreme Synthetic Blend Engine Oils may be used in any vehicle sold in North America where API SN, SM, or earlier designations are recommended. These oils are API approved and licensed. All grades meet demanding global ILSAC GF-5 requirements for volatility and oxidation resistance. Outstanding anti-wear, oxidation and friction control.